When will be Vintage Savannah next episode air date? Is Vintage Savannah renewed or cancelled? Where to countdown Vintage Savannah air dates? 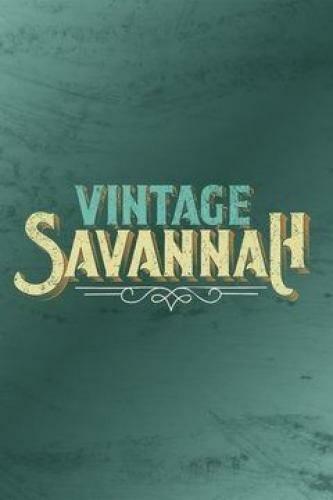 Is Vintage Savannah worth watching? On Vintage Savannah, Leah Bailey and Linn Gresham are THE experts when it comes to restoring the majestic homes of Savannah, GA. This charming, multidimensional Southern city is home to an infinite amount of historic properties-many of which fell victim to bad 60's, 70's and 80's renovations. Together, Linn and Leah use their bare hands to peel back the layers and rebuild them into beautiful, contemporary spaces. Leah Bailey and Linn Gresham are called upon by homeowners Chad and Amy to restore an oddly shaped 1970s addition that is attached to an 1800s brick home in Savannah, GA. Chad and Amy want the addition, which houses their kitchen and family room, to match the original house, so Leah and Linn add some walls and remove others to give it a more traditional layout and then bring in salvaged materials to bring in a vintage style to the space. They run into some big issues when they open up the wall they want to tear down and have to think on their feet to decide how to get the open feel they want while still retaining the character of the original house. Leah Bailey and Linn Gresham are recruited by homeowner Jordan to restore the three main rooms on the first floor of her Victorian home in Savannah, GA. Leah and Linn remove an awkward fountain planter in the foyer and add a wall to bring the living and dining rooms back to their original layout. However, they run into issues when they try to expose the original fireplace and have to come up with a solution for how to conceal the concrete mess that's left behind. They also scavenge the city in search of the perfect vintage pocket doors to place between the living and dining room and bring in other architectural details to restore the three rooms to their original Victorian grandeur. Vintage Savannah next episode air date provides TVMaze for you. EpisoDate.com is your TV show guide to Countdown Vintage Savannah Episode Air Dates and to stay in touch with Vintage Savannah next episode Air Date and your others favorite TV Shows. Add the shows you like to a "Watchlist" and let the site take it from there.